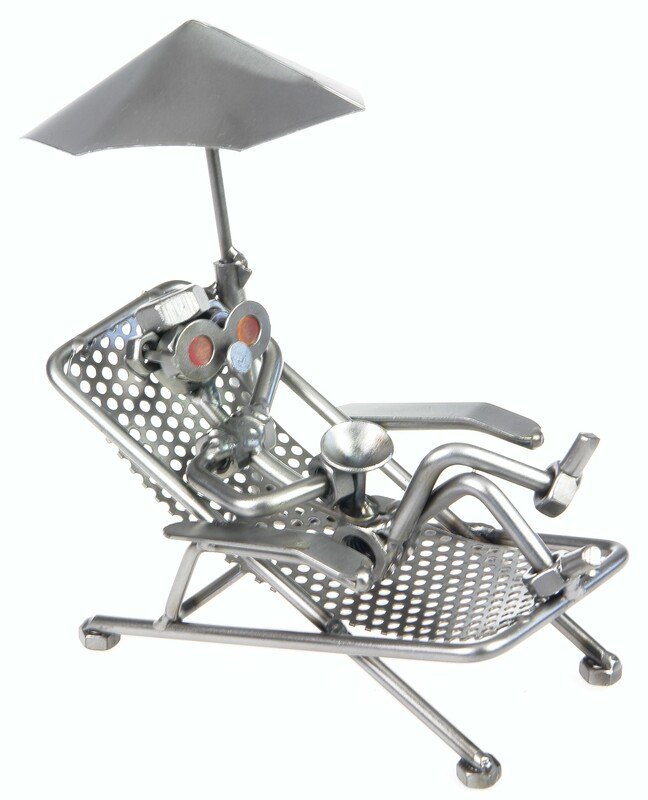 A metal figurine on a deckchair enjoying his free time under a beach umbrella. Pure relaxation. It will do as a great gift for holidaymakers going to warm countries.